Locked Out of Your Car? We'll Rescue You! Most of us have done it before — tapped the “Lock” button on our car door, happily got out of our vehicle and shut the door to go about our business — only to return to find our keys still in the car! CS Towing is here to rescue you. When you need to get back in your vehicle but you’re without your keys, CS Towing is available 24 hours a day, 7 days a week. 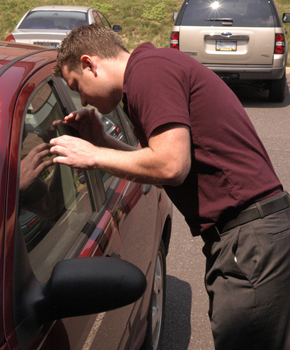 Simply give us a call at 973-383-9855 and our lockout technician will promptly meet you at your vehicle to rescue you. We’re AAA approved, so if your policy covers lockout service, you’ll pay nothing out of pocket! Need a tow? CS Towing also offers 24/7 towing services, battery replacements, jump starts, and more! Call us for your tow service or lockout service TODAY!